As part of Diwali week we took the children on a story adventure around the local area based on the story of 'Rama and Sita and the Demon King'. 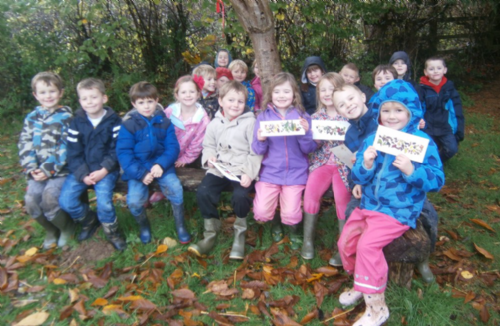 The children followed a trail marked with red ribbon to listen to the next chapter of the story. They thoroughly enjoyed it (and the mud!) and created autumn colour palates with fallen leaves.